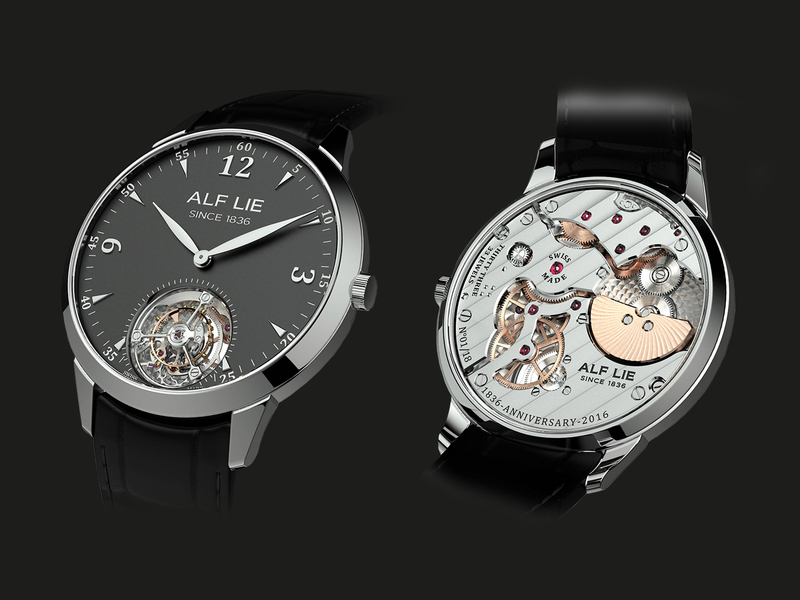 Alf Lie have been making exceptional, desirable watches since 1836. 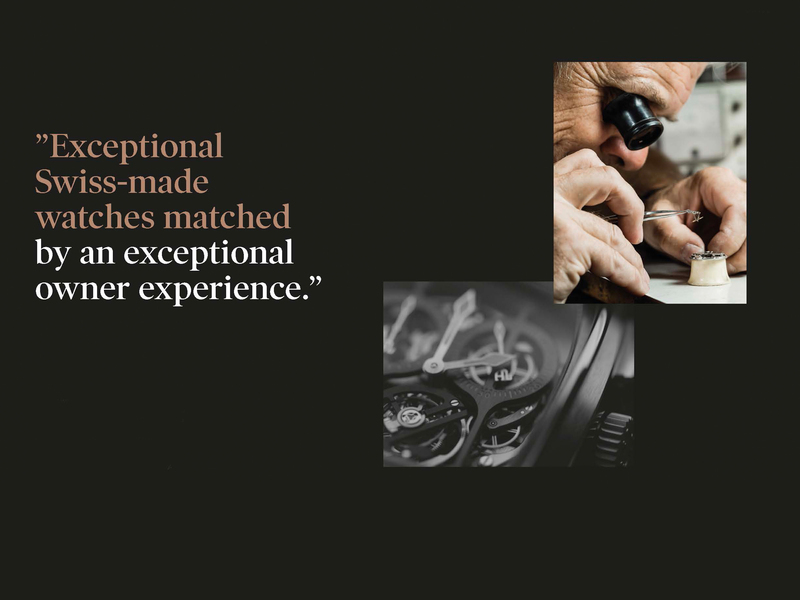 Over the centuries, they’ve become a trusted partner to iconic Swiss brands like Patek Philippe, Ulysses Nardin, Jaeger-LeCoultre, Vacheron Constantin and Movado. 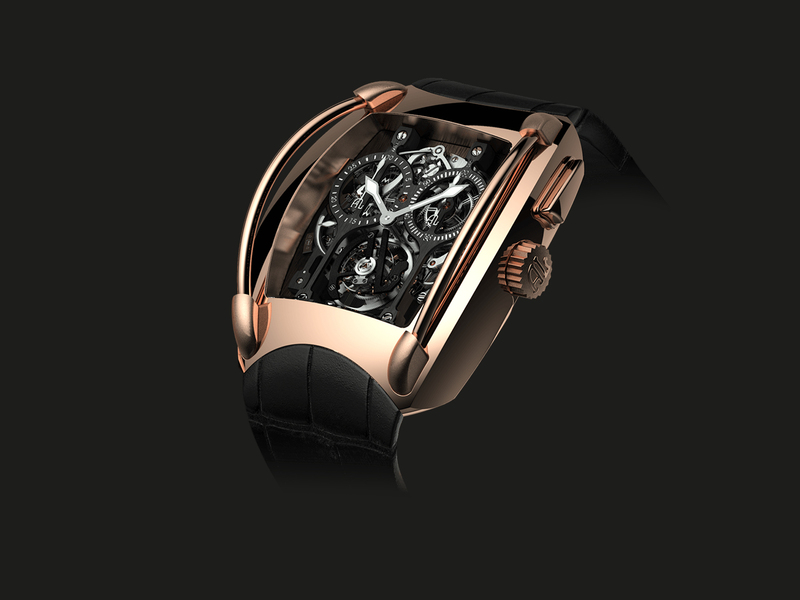 They’ve even made watches for royalty, business magnates and celebrities. 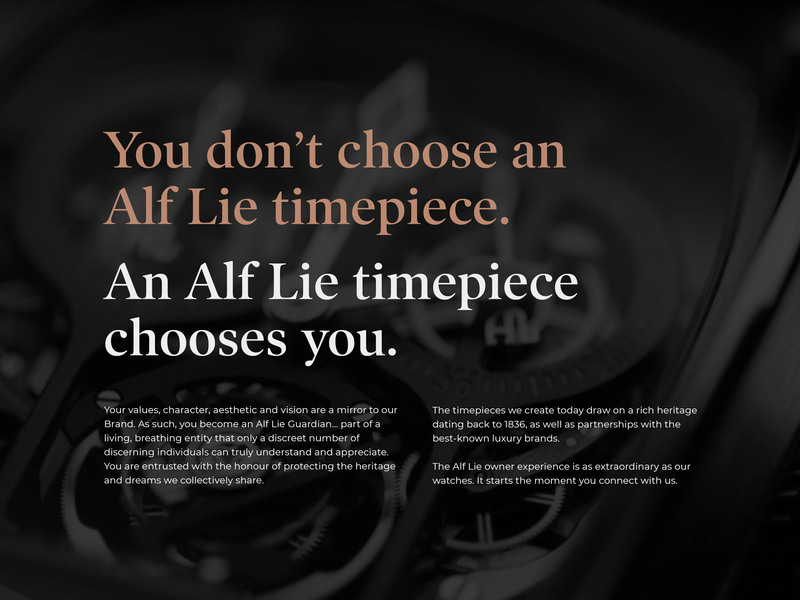 When someone chooses an Alf Lie timepiece, they become part of an exclusive brand that only a few discerning people truly understand. 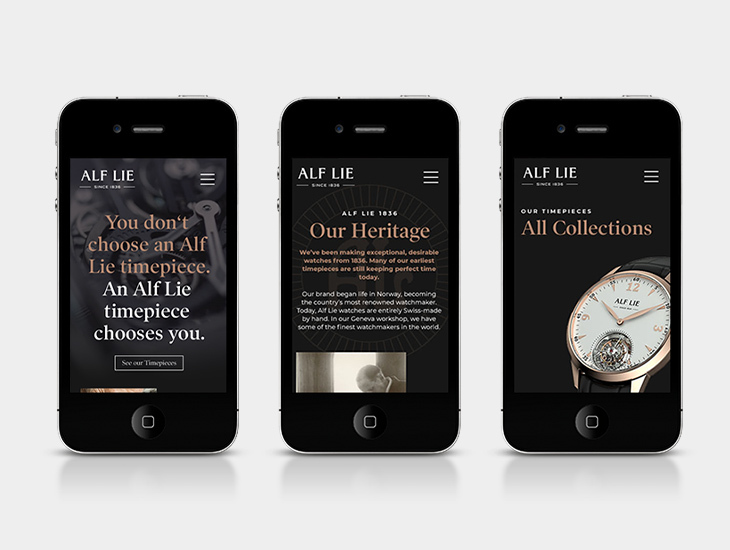 And when Alf Lie wanted to capture that powerful brand story, they turned to us. 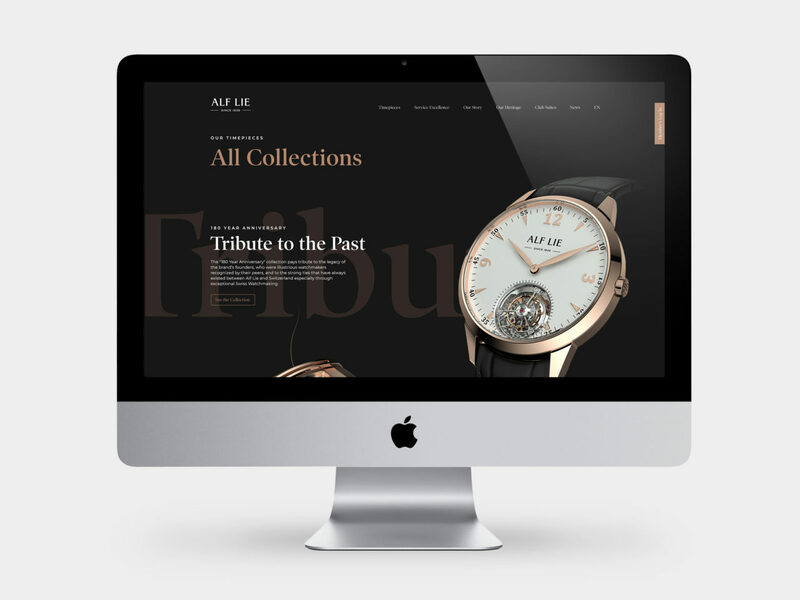 Frost Creative was briefed to help reinvigorate the brand, enhance the brand story and help raise awareness among the global elite. 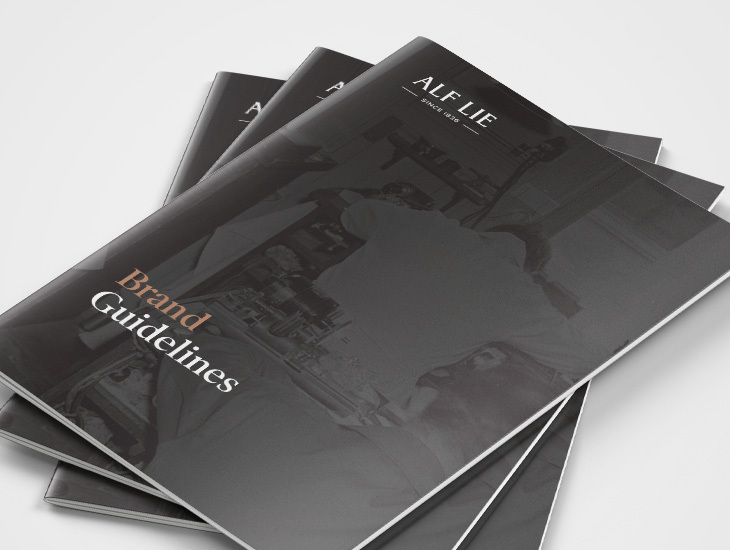 We took a considered and comprehensive approach that examined every part of the brand, from its rich heritage to changing consumer preferences. 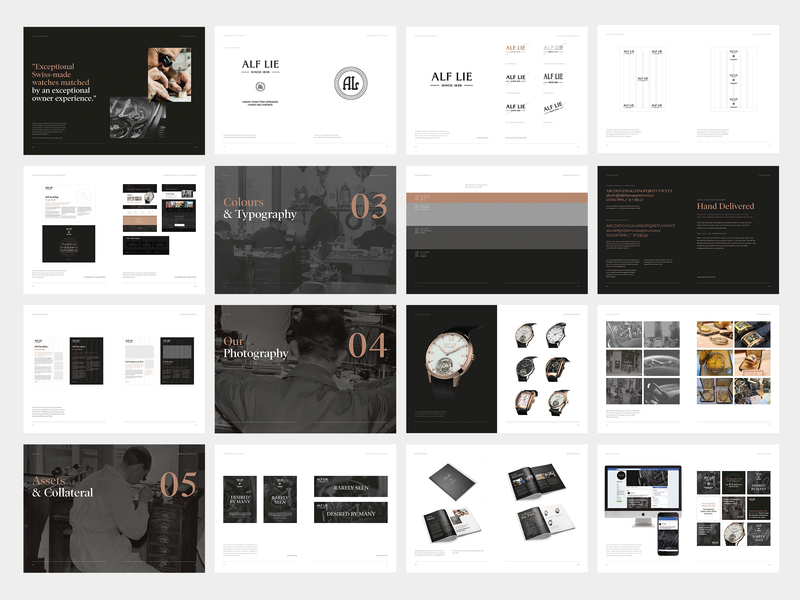 Following a series of creative workshops, we produced the new brand strategy, proposition, tone of voice and a visual refresh. 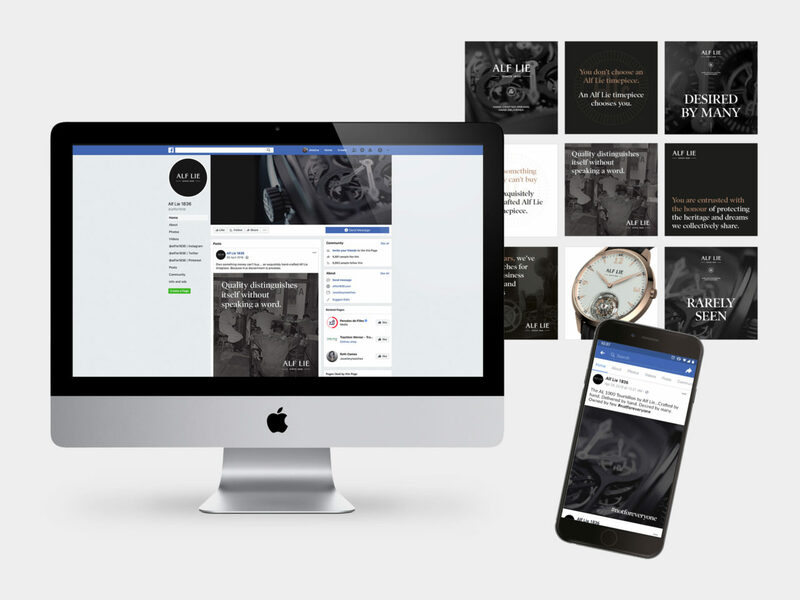 As part of this, we introduced a conversational yet eloquent tone of voice, giving the brand more gravitas while making comms more immediate, confident and compelling. 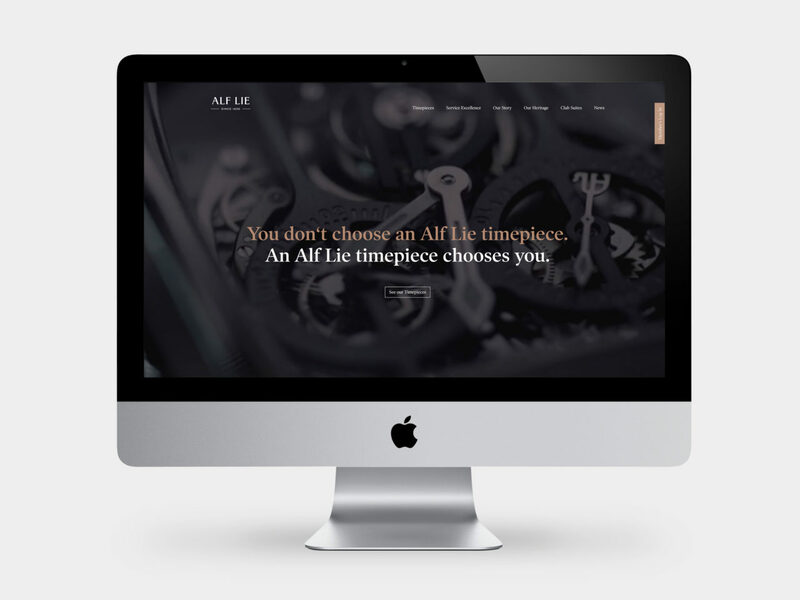 Meanwhile, our design approach thoughtfully combined the old with the new. 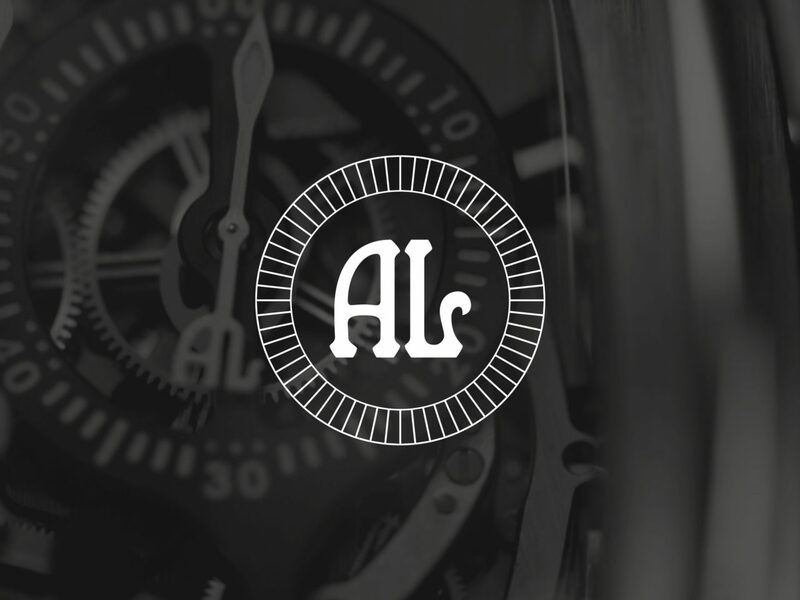 We brought the brand’s rich heritage to the fore, but also retained an air of exclusivity by omitting pictures of watches from advertising. 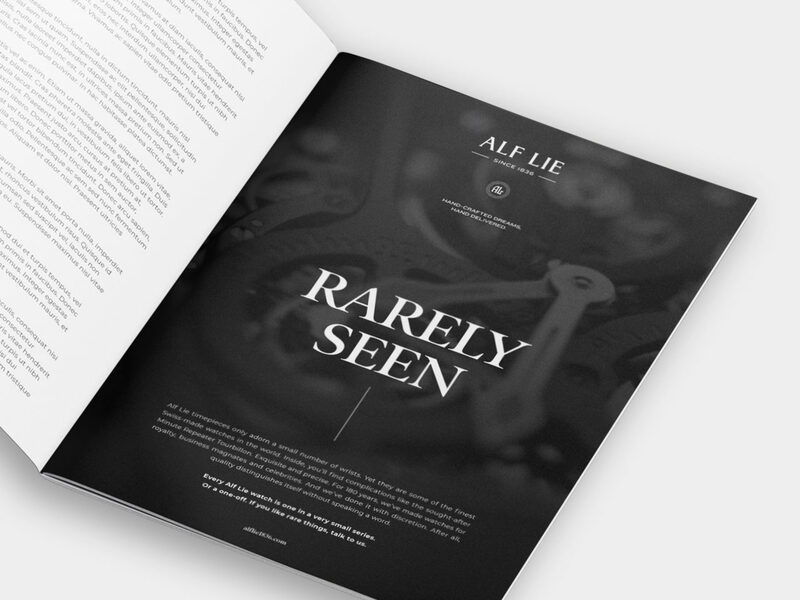 As a result, we captured the opulence and exclusivity of the brand, firmly positioning Alf Lie as something for the few, not the mass market. 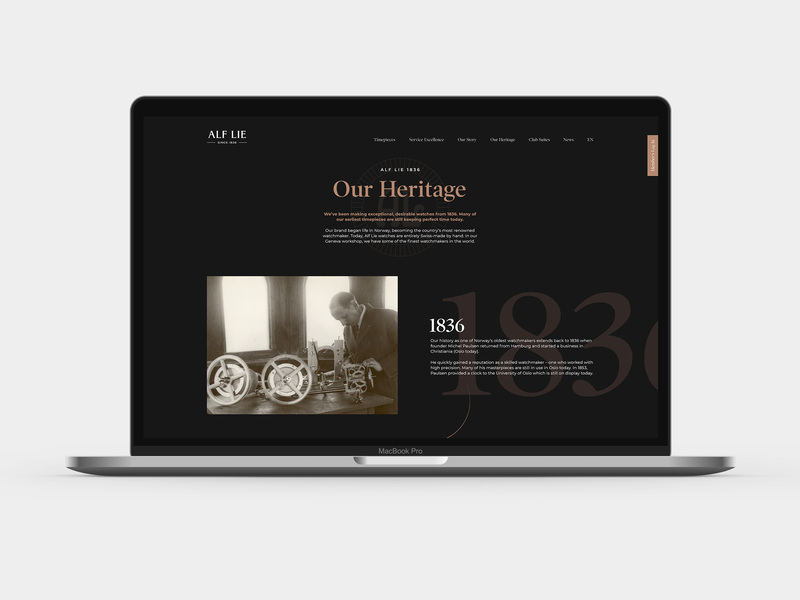 You can view the website yourself here.